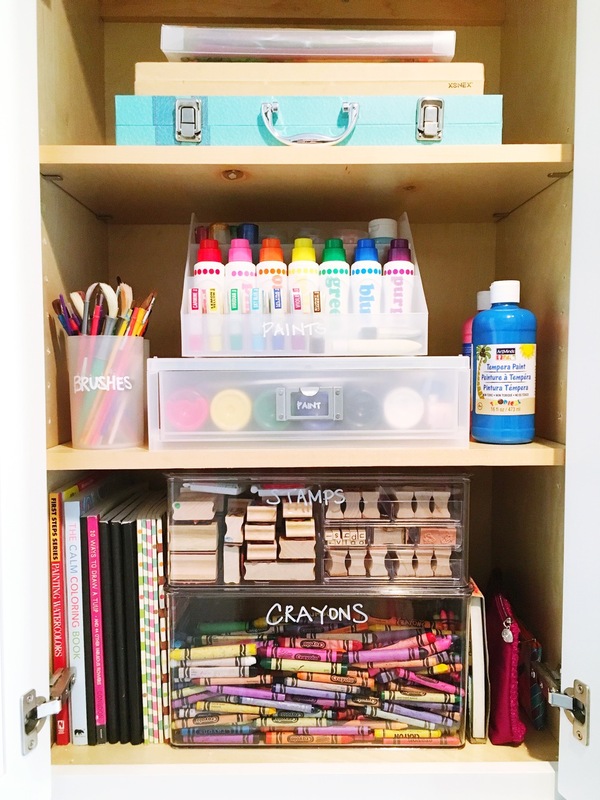 There are few things more fun to organize than office and art supplies! We get to make rainbows out of pencils, little trays of pushpins and paperclips, and colorful stacks of sticky notes – what could be better? But behind all the pretty pens.. there are carefully thought-out systems in place and product that we selected to optimize the space. Here is a run-down of some recent projects and what we used to achieve the look! This office closet had a ton of products that needed sorting, and even more electronics, equipment, and cables that needed containment. We wanted to make sure everything was accessible, clearly labeled, and stacked by priority. This was the first time we used the Pure Box Modular Stacking system and it ended up being the perfect solution for the space. When your client has a collection of erasers and and fun sticky notes, it’s hard to make it look anything but cute. 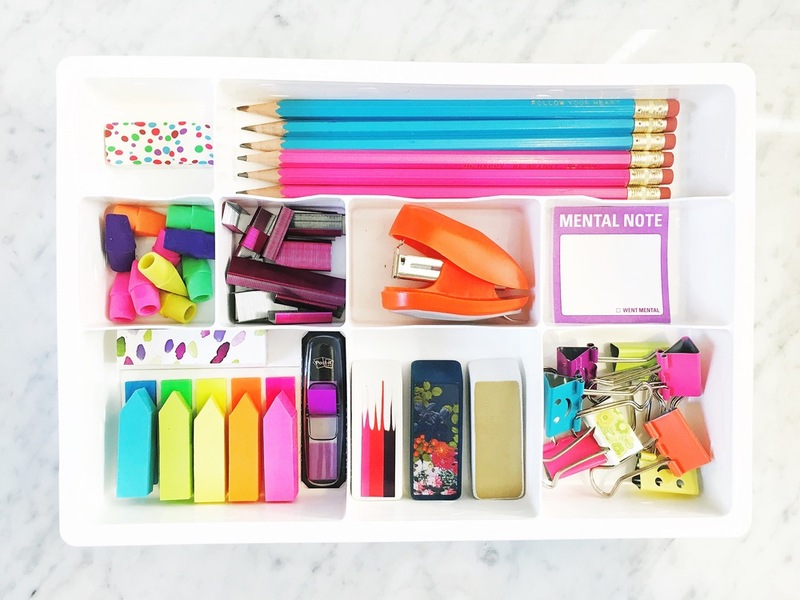 The Office Drawer Organizer was the perfect drawer insert to contain all the small pieces and show-off the bright colors. Sometimes your office supplies all end-up in the kitchen junk drawer. This is a great example of how versatile the Everything Organizer is, and how it can fit in a multitude of spaces. It’s expandable and has smart compartments for both small pieces and large kitchen scissors. When you’re organizing art supplies for a 5 year old, it’s tricky business. You need to make it uncomplicated, intuitive, and fun to work with. We used these large stacking InterDesign clear bins for stamps and crayons, and decided to fill and stack them in a way a child could replicate. The paint tubes however, could be easily lined-up by color which allows for a crisp look that’s low maintenance. 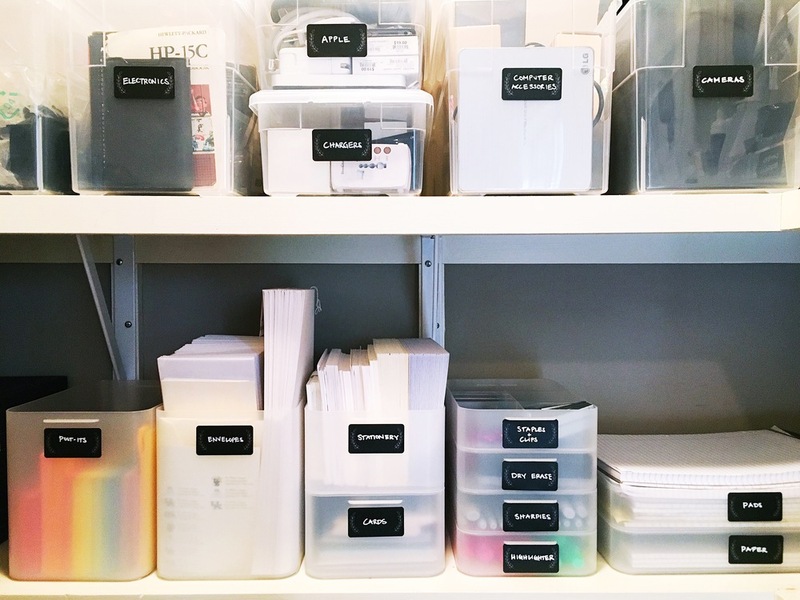 We used the Like-It Landscape Paper Drawers and Desktop Organizer to hold all the supplies! In contrast to the kid’s art supplies above, this family has school age children with homework and project needs. 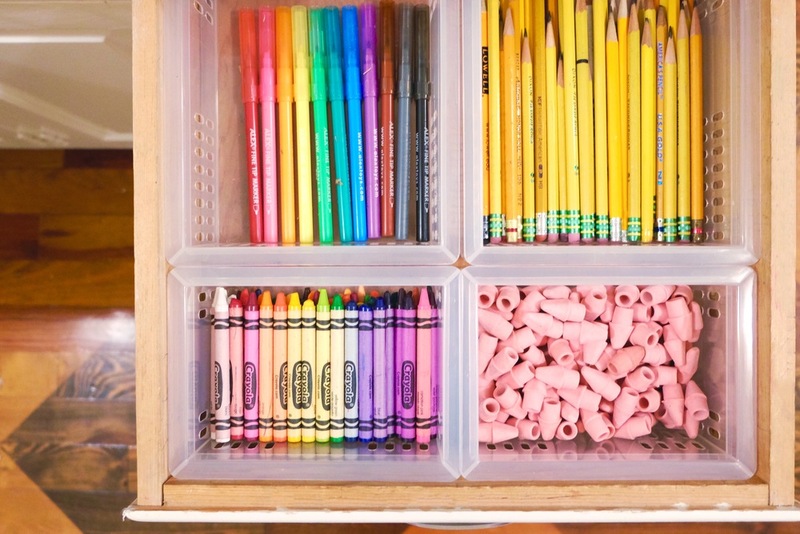 That means keeping a lot of pencils, erasers, and markers handy and organized at the same time. These Stacking Organizer Trays are so versatile and allow you to build your drawer in 100 different ways. Another plus? They are really affordable. If you have any questions about these projects, or other spaces you’d like us to highlight, let us know in the comments! Love this, thanks! What is your suggestion for corralling the "junk" items if there is no space for one???? 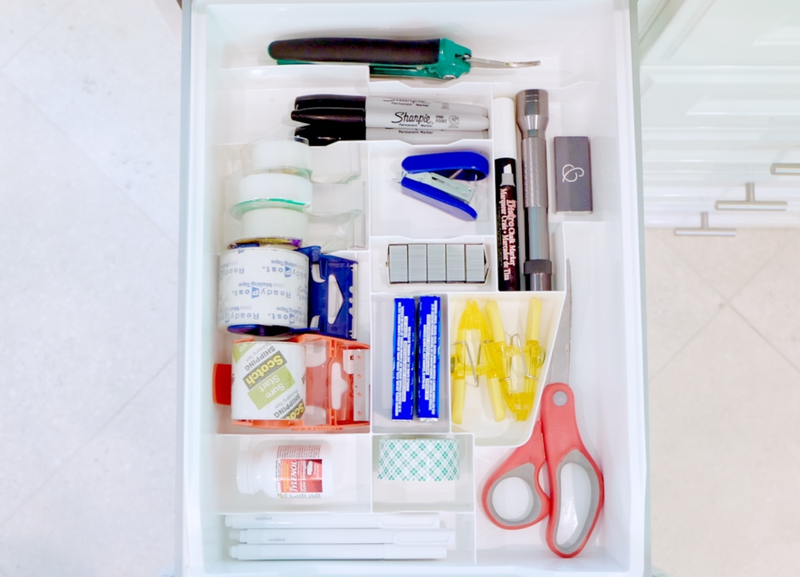 I looked at the junk drawer but I have a very narrow drawer so should I use the office drawer organizer instead?